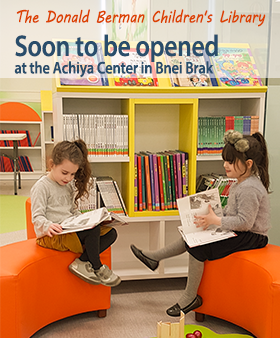 As General Manager since Achiya’s inception, Yitzchak Levin works to broaden the scope of Achiya’s activity in terms of therapeutic interventions for learning- challenged children, training for teachers, and support for parents. Under his leadership, Achiya has gained full accreditation from the Ministries of Education, Health and Welfare, and has grown to become the standard-setter for the identification and treatment of learning differences in orthodox communities in Israel and throughout the world. Mr. Levin holds a B.A. in Educational Counseling from Bar Ilan University and a MA in Educational Management. Renowned educator and Educational Counselor, Rabbi Teller is a veteran at the Achiya College, serving as Study Coordinator for the past 15 years. Also serves as Pedagogical Counselor at the Ministry of Education and as Educational Counselor at the Belz Talmud Torah in Ashdod. Mr. Berkowitz supervises the logistical and pedagogical needs of Achiya’s 14 Teacher Training branches throughout Israel. He works with the branch coordinators and is Achiya’s spokesman, meeting with the colleges’s students throughout the country. Holds an MA in Educational Management. Dr. Doer is the originator of a reading acquisition program designed especially for learning disabled Talmud Torah children, which is based on traditional methods of Jewish learning. Dr. Doer holds a doctorate inpsycholinguistics from the Sorbonne University. Rabbi Ungar supervises a staff of 13 remedial teachers at Achiya’s Reading Department. Rabbi Unger also serves as an educational supervisor in 38 Talmudei Torah and is a consultant to several educational institutions in the Diaspora. Rabbi Unger lectures on the Reading Process and Pedagogy at the Achiya Teacher’s Training College. He holds a B.A. in didactic diagnostics from Bar Ilan University. Supervisor and didactic diagnostician of the Gemara Department. Rabbi Weingarten supervises a staff of 10 remedial teachers in Gemarra studies at Achiya. Rabbi Weingarten also serves as supervisor of the Ohel Asher Special Education School. and as an educational consultant in several Talmudei Torah in Bnei Brak. Ms. Cohen has been working within the Charedi community since 1992 as a diagnostician and therapist at the Maccabi Health Clinic in Bnei-Brak. She is a graduate of Bobath (neurodevelopment treatment) for children and babies and also specializes in the treatment of premature infants. Cohen holds a B.A. in physiotherapy from Tel-Aviv University. Ms. Cohen counsels a staff of 10 physiotherapists at Achiya. Ms. Sarig is a certified physiotherapist and hydro therapist. She oversees a staff of 20 hydro-therapists and evaluates children who come to Achiya for hydrotherapyMs. Sarig has former experience working at hospitals and a children’s rehabilitation clinic.. Holds a B.A. in Physical Therapy from the University of Haifa, and is a graduate of Wingate’s Hydrotherapy Training Program. Ms. Moscowitz is a social worker, in charge of the Emotional Therapy Department and general coordinator of the professional staff at the Children’s Development Departments in Bnei Brak and in Elad. Ms. Moscowitz provides parental guidance to parents whose children are treated at the Achiya Centers. BSW University of Bar Illan and a MSW from the University of Haifa majoring in clinical therapy. Bracha has been working as a speech and language therapist from 1998.